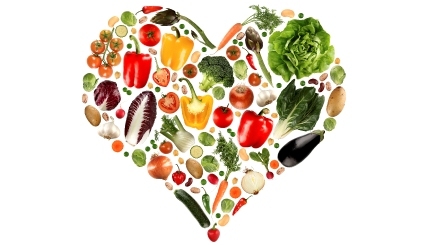 Vegetarian Diet = Lower Risk Of Heart Disease. In America, almost 3 million people die each year from heart attacks and heart disease, two things that can be prevented with diet and a healthy lifestyle. As we all know, a vegetarian diet leads to a lower risk of heart disease. Doctors always had their assumptions as to why but no one ever really had a firm reason. Now that a study of almost 45,000 people in the UK and Scotland has finished up, researchers are pretty sure they know exactly why a vegetarian diet lessens ones chances of heart disease. 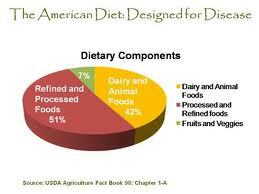 They are now saying that it is the lack of saturated fat and sodium in a typical vegetarian diet. Doctors stated that there is a direct link between saturated fat intake and cholesterol production in the body. It is not the cholesterol we intake but the amount our bodies make that leads one to have high cholesterol. Eating saturated fat sets off the cholesterol production in our body and that is where the problem begins. 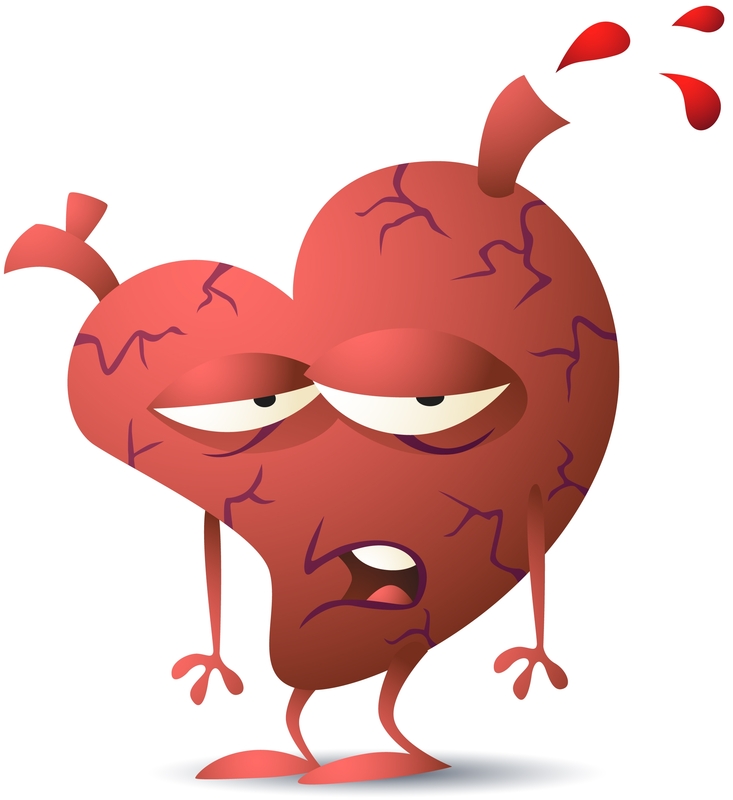 When it comes to high blood pressure they state sodium is to blame. They also found a direct link between high sodium intake and high blood pressure. Having high blood pressure increases ones risk for heart disease because it cuts off the blood flow to the heart, leaving them at high risk for heart attacks and heart disease. This study started in 1993, so it has been 20 years that the doctors and researches have had to follow these people’s dietary habits. Out of the almost 45,000 people they followed, 34% of the people followed were vegetarian. In conjunction with this study, doctors also studied the effects that red meat has on the human life span and how processed meat can lead to diabetes and heart disease. They found that red meat surly does shorten the human lifespan. The last conclusion drawn was that the doctors who participated in this study, agreed that they would not only recommend a vegetarian diet for their patients who have already suffered a heart attack, they would also start to recommend it to those patients who are also showing the beginning signs of heart disease as well. 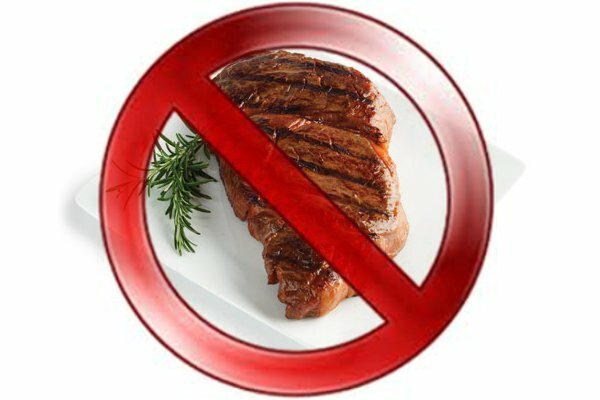 Red Meat Consumption And The Early Death Link. By now I am just shocked that people still encourage others to eat meat. 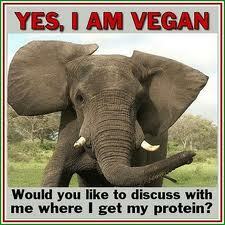 I read every fitness magazine known to mankind and the only one that does not push meat is a vegan one. Go figure. To make matters more ‘comical’ this whole post came into fruition because of a blurb in one of the meat pushing fitness mags. In between pages and pages of meat recipes, suggestions as to how much meat one needs to eat, benefits of meat blah blah blah, there was one anti-meat blurb and of course I chose to zone in on that lol. The blurb was in reference to a study that was done at Harvard, this study showed that every time someone ate meat, it increased their chance for early death by 12%. Hot dogs and bacon being the ones that deliver the ‘most death’. Over the course of almost 30 years, over 120,000 people were studied. 14,000 died, almost 10,000 of those from cancer and another 6,000 from heart disease. After all the numbers and data were factored in and out, this is what they found. 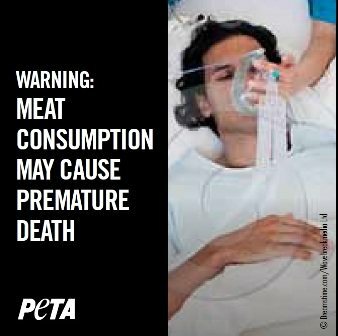 If those people who passed away had limited their meat intake to ‘only’ 42 grams of meat per day, their deaths would have been totally prevented. When questioned as to why they were so dependent on meat, the subjects said they were concerned about their ‘protein intake’. Researchers further examined this answer and came to the conclusion that beans, nuts, whole grains and low-fat dairy are all great replacements for meat when it comes to protein. The researches even went a bit further as to mention that the plant based sources of protein are also rich in other nutrients not found in meat, so they actually pack a 1-2 punch. Categories Nutrition., People, Places And Things. Ok, so in my family there are 4 kids, 3 girls followed by a boy. All 3 girls are vegetarians, all 3 girls never really liked eating meat or drinking milk. In fact, there were some intense battles at the dinner table about meat and milk. Gross. I can so laugh about it now but when I was 12 I didn’t find it to be so humorous, nor did my parents. So what’s the beef though? Were we just born like this? Do we have our parents to thank, or what? 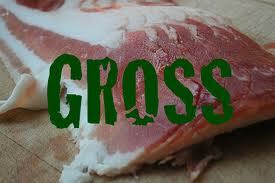 Research has shown us that some people simply do not like the taste of meat. They are attributing this to a keen sense of smell that makes them go ‘Ewe’. A study in Norway came to the conclusion that about 70% of people have two functional copies of a gene linked to an odor receptor that detects a compound in male mammals called androstenone, which is common in meat such as pork. 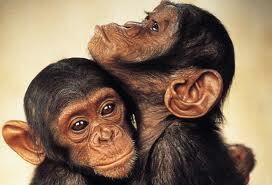 Those people who have the two functional copies of the gene think that meat smells quite bad. This could be precisely why you don’t like meat and probably have never liked meat. This was only one study done but I had to post about it after I spoke with my mother today. She said something about ‘not liking the smell of meat cooking’ which got me to thinking. I am very sensitive to smell as is my mom and my sisters. This would make sense as to why the 3 of us never really liked meat nor had a hard time giving it up. We get it from our Momma. 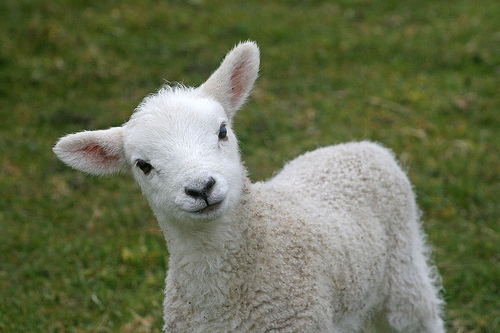 Fact Of The Day: 30% Of Meat Eaters Would Not Date A Vegetarian. Who’s Picky? This is comical to me since us vegetarians are always being the ones called ‘picky’ and ‘stuck up’ when it comes to their diet and life choices. Well it comes to find out that meat eaters are WWAAYY more pickier about who they date than us veg heads are. 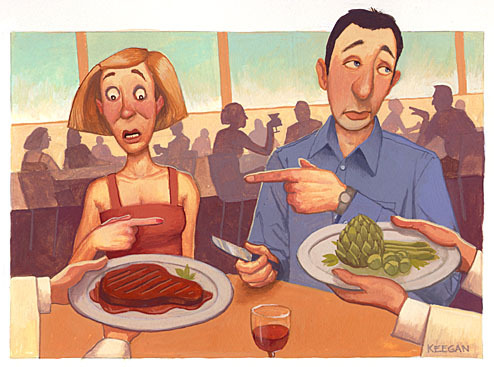 So picky that in fact, 30% of meat eaters would never even go on a date with a vegetarian. 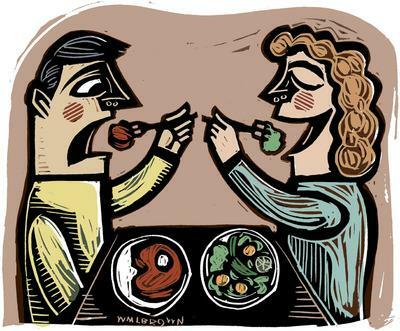 And for us ‘picky’ veg heads, only 4% of us said we would never date a meat eater according to the most recent study done on this topic by Today and Match.Com. I personally don’t get this but then again I am a veg head who could never date a meat eater so I guess when I flip it around and reverse it, I see where they are coming from, to a degree. My whole issue is that people just break vegetarians and meat eaters down to what they eat. One group eats meat and the other doesn’t. What I have learned about vegetarianism is that it is not that cut and dry, being a vegetarian tends to effect a lot more than just what we eat. It changes mind frames and outlooks making dating a carnie a lot more complicated than simply sitting thru dinners at Ruth Chris. So whereas meat eaters simply strike us out cuz we don’t feast on flesh, I tend to think the 4% of veg heads who strike out meat eaters do it for many more reasons than the fact that the other eats meat. The whole reason carnies don’t want to date veg heads is because of food. That is the number one underlying reason. Carnies think that we will not be as fun in social settings around food and they also view food as a way to kick back and relax. So I guess we are crappy dinner guests that are uptight and not fun. Others also state meat as a ‘luxury to our ancestors’ (yes they are really going there with that) therefore us refusing to share in this luxury is like damming a cultural aspect of American life. Can We Feast In Peace? -Prevent Diabetes. Adopting a plant based diet after one is already diabetic will help reduce the amount of insulin needed and in some cases alleviates the need for insulin at all. -Prevent Obesity. It is very hard to become obese while eating a plant based diet, the amount of fiber alone fills you up too quickly to over eat. Sure you can gain weight on processed carbs but that goes for both carnies and veg heads a like. -Lower Your Cholesterol. Since there is zero cholesterol in plant foods and since our bodies make all the cholesterol we need, you can do the math on this one. -Prevent Arthritis. Arthritis can be prevented by eating a plant based diet and symptoms and flair ups will be much less common if one adopts a plant based diet after being diagnosed with arthritis. – Help You Lose Weight. Without exercising, the average vegetarian weighs 20lbs less than their meat eating counterpart and someone converting to a plant based diet from a meat based diet will lose 10lbs in the first year without exercise. They will continue to lose about 8lbs more per year for the next 4 years from the diet change alone. That’s a 50lb fat loss in 5 years without exercise. -Prevent Heart Disease. Heart Disease kills Americans like whoa strictly due to the amount of meat we eat. Eating plants not only will prevent heart disease from stepping into your realm but if you already have heart disease, switching to plants will help cure you of it and in some cases totally reverse it. -Alleviate Signs Of Depression. 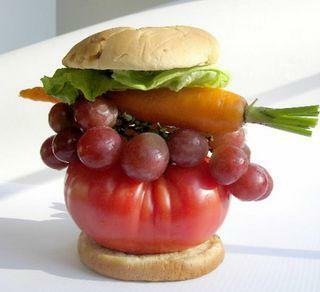 Studies show that veg heads are all around happier than their meat eating counterparts. Plus there have also been links found between depression and factory farmed meat. -Give You More Energy. How can you not have more energy when everything you are feeding your body is full of life and energy? 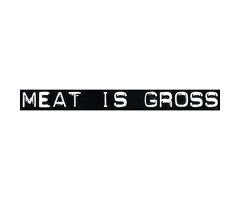 Everyone and their mother says they feel tired and sluggish after eating meat. So don’t do it and feel better. Read This: The China Study. The China Study is an amazing study that was done several years back. It compares the diet of those living in rural China and us here in America. What the come to find out is nothing short of amazing, if you care about your heath and your families health this is simply a book you have to read. Written by Dr. T Colin Campbell, this book touches on all of the nonsense that Americans deal with on a daily basis when it comes to their health. Cancer, diabetes and obesity are all discussed in this book and the connection between diet and illness is explored through out the China Study. With the prevalence of cancer, diabetes and obesity in our society, I think it is very important that we as a whole get more educated on our health. We must remember that these diseases were not as prevalent even just 20 years ago, that is a short time to do such mass damage. 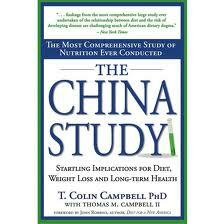 The China Study will show you, in a factual manner that yes, what you eat does matter that much. 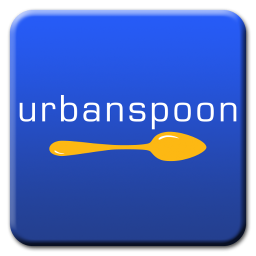 It will give you insight as to how other cultures eat and then you will see how low their cancer and obesity rates are, at that point you can’t help but to have an ‘Ah-Ha Moment’. http://thechinastudy.com/ The China Study Homepage. So What Are Humans Designed To Be? http://www.ocoy.org/2008/04/humans-are-we-carnivores-or-vegetarians-by-nature/ This Is The Great Website That I Copy And Pasted This From.